Overview: This course could cover ANYTHING you need. We are here to help after class. Plastic part design, die casting, Pro/Program, advanced Creo Surfacing, exporting to other CAD programs, etc. Make your wish list and we will be your genie, except here you get unlimited wishes (for 16 hours)! This is a fully customized course and can come with custom training materials or videos. Often there are only a few students in this workshop and it is always customized ahead of time. This course will not be listed in the training schedule but can be added wherever requested. Below is a short list of topics your group may want covered. Projects: All the projects in this class are based upon student interests or job requirements. 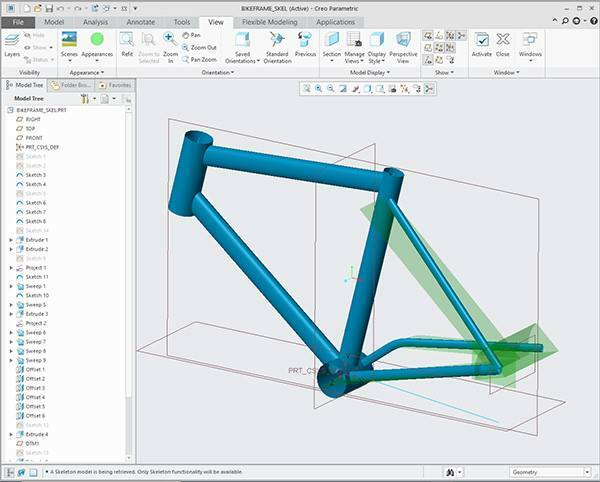 Prerequisite: 1,500 hours minimum experience with Creo. Convert Cartesian coordinates to Spherical Coordinates in sketcher to use later in equations. 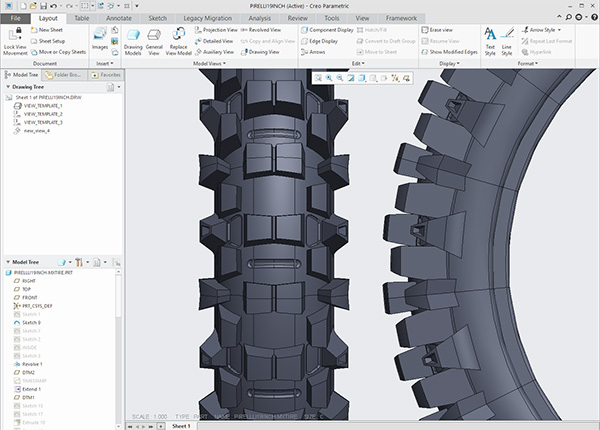 Pirelli Motocross Tire patterned efficiently using Creo.